If you’re looking for a relaxing holiday, short break or day out with great attractions, beautiful scenery, stunning coastline, excellent shops, lively markets and fine food, Hampshire is a must. See the legendary King Arthur’s Round Table, go on board Nelson’s flagship, or relive the tragic story of Titanic - there are lots of things to do in Hampshire. The county's acres of beautiful scenery and two National Parks are a delight for nature lovers and if it’s coastline, castles or cannons you're after, our beaches and heritage sites are second to none. From award-winning country parks and independent shopping in historic market towns to cosy pubs serving delicious local produce, a short break in rural Hampshire will leave you feeling refreshed. The historic city of Winchester, former capital of England, has a wealth of attractions to explore, from its magnificent Cathedral to its superb military museums. The Great Hall is home to King Arthur’s legendary Round Table and is the only surviving part of Winchester Castle. On the outskirts of Winchester you will find 120 acres wildlife park at Marwell Zoo. Discover over 170 exotic and endangered species in this fabulous family friendly attraction. The naval city of Portsmouth is a treasure trove of museums and shops with a buzzing, vibrant atmosphere. The Mary Rose Museum and Portsmouth Historic Dockyard, which is home to the HMS Warrior, The National Museum of the Royal Navy and Lord Nelson’s HMS Victory is a must see for anyone visiting the area. Portsmouth’s cityscape is dominated by the 170 metre tall Spinnaker Tower, which offers fantastic views across Portsmouth Harbour and the Isle of Wight. Along the south west coast of the county, visitors can discover a host of exciting attractions in the New Forest National Park. Families will have the chance to meet Peppa Pig at Paultons Park, car fans can explore Beaulieu National Motor Museum and history enthusiasts can step back in time at Buckler’s Hard, an 18th century shipbuilding village. East Hampshire and the South Downs National Park were home to author Jane Austen. Visitors can explore her former home in Chawton or follow in her footsteps along a themed walking trail. Natural history enthusiasts will love Gilbert White’s House & Garden and The Oates Collection. Find out about Reverend Gilbert White, the pioneering 18th century naturalist and Frank Oates, a 19th century explorer. The maritime city of Southampton has strong links to RMS Titanic, a story which is told at state-of-the-art SeaCity Museum. Walk the 'Titanic Trail' and explore some key locations in the city which played a part in the infamous tragedy. If you are interested in history, you can step back in time at Tudor House and Garden, one of the oldest buildings in the city. It's located in the city's historic Old Town, a network of cobbled streets and medieval buildings. North Hampshire is home to the UK’s only working silk mill in Whitchurch. Discover how the 19th century machinery weaves English silk fabrics. If you enjoy living history, visit Milestones in Basingstoke and stroll along period streets with traditional shops and houses. Just outside Basingstoke sits the National Trust property The Vyne, a red-bricked Tudor mansion built in the 16th century. The picturesque landscape of Test Valley has many great attractions, including the prized collections of the Sir Harold Hillier Gardens near Romsey and the world famous rose gardens at the National Trust property Mottisfont. Further north in Andover, the Hawk Conservancy Trust is set in 22 acres of woodland and wildflower meadows and there are over 150 birds of prey. Quintessentially English, Hampshire’s countryside is the ideal rural escape, offering visitors the perfect place to relax and unwind away from urban life. The two National Parks, South Downs in the east and the New Forest in the west, are perfectly catered towards people who enjoy walking or cycling. The picturesque landscape of Test Valley boasts clear chalk streams and chocolate-box thatched cottages. To the north of the county sits the North Wessex Downs, an Area of Outstanding Natural Beauty which is home to Watership Down, the inspiration for the famous novel and film. The county also has an abundance of country parks dotted around the region. From coastal Lepe Country Park in the New Forest to Staunton Country Park in east Hampshire, take a picnic or enjoy a bike ride in one of these fabulous open spaces. If you like being outdoors there are plenty of activities to take part in across the county. From golf to horse riding and watersports to fishing, there is something from the calm to the exhilarating. The county also boasts some of the best gardens in the UK. Discover the beauty of Exbury Gardens & Steam Railway in the New Forest or Sir Harold Hillier Gardens in Romsey. The county’s coastline is popular with walkers, nature lovers and sailors and offers a variety of things to do in Hampshire. Hayling Island has one of the best beaches in the county, perfect for a fun day out by the seaside and an area well known for windsurfing and kitesurfing. For some of the best views across the Solent, visit Lepe Country Park at Exbury. Here you can watch the ships pass in and out of Southampton and discover the historic D-Day remains. If you like outdoor activities, head to Calshot, which is home to one of the South's biggest outdoor centres, Calshot Activities Centre. You'll also find lots of brightly coloured beach huts lining the seafront. There are plenty of opportunities to indulge in shopping across Hampshire. Shopaholics will love West Quay Shopping Centre in Southampton, Gunwharf Quays in Portsmouth and Festival Place in Basingstoke. If you are looking for a more unique shopping experience discover the pretty market towns of Romsey, Alresford, Stockbridge, Lymington and Petersfield or the medieval city of Winchester. Jane Austen is one of England’s most celebrated and greatest novelists and Hampshire played an important part in her life. Take a look at Hampshire's superb shopping facilities in Basingstoke, Portsmouth, Southampton and Winchester which are among the best in the country. Find out what a Microgap is and discover some of Hampshire's best Microgap experiences. Looking for the best Easter egg hunts in Hampshire? From traditional Easter egg hunts to hunts with a twist, there are plenty of Easter themed hunts and trails ‘hopping’ up across Hampshire. Looking to spoil your Mum, Grandma or the whole family this Mother’s Day? This year Mothering Sunday is on Sunday 31st March 2019 and you’ll find the perfect Mother’s Day treat in Hampshire. Choose from, luxury spa days, delicious afternoon tea and fantastic family days out at top attractions. Besides walking, cycling may be one of the best ways to explore the New Forest National Park. There are over 220 square miles of pretty woods, heather banks, brooks, ponds and streams all frequented by the famous free-roaming New Forest ponies, donkeys, cattle and the odd pig or two. Looking for the hottest hotels, events and attractions launching 2019? You’ve come to the right place… Hampshire! 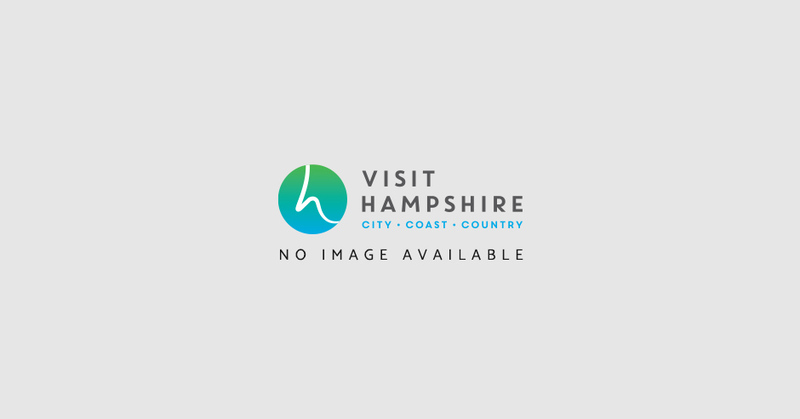 2019 is set to be an exciting year in Hampshire with several large-scale events, exhibition openings big anniversaries being celebrated, and brand-new hotels opening.